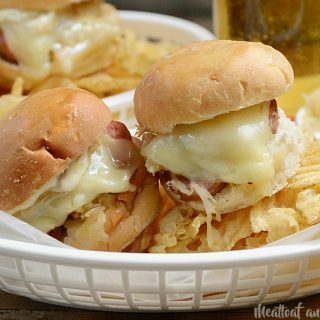 Kielbasa Sauerkraut Sliders loaded with smoked Polish sausage, sauerkraut and melted provolone cheese are perfect for an easy dinner or game day snack. If you’re looking for a cheap, quick-fix dinner recipe, you’ll love these simple kielbasa sauerkraut sliders. They’re super easy to make and ready in just 20 minutes. They taste good, too! I grew up eating Polish sausage, and today, it’s still one of my favorite comfort foods. It’s definitely an Eastern European thing, although even the Hubs, who is part Swedish, feels the same way. Kielbasa is so easy to work with, and it’s also pretty inexpensive, so it’s ideal for those times when you need a budget friendly meal. Even though I’ve been eating kielbasa forever, I was never a fan of pairing it with sauerkraut. Growing up, we almost always had it with fried potatoes — yum! My aunts, on the other hand, boiled the kielbasa with sauerkraut all in one pot. And my cousins absolutely hated it! Granted, it wasn’t seasoned or anything, which probably makes a huge difference. So when I decided to cook kielbasa and sauerkraut together, I wanted to make it taste good enough for my kids to eat! 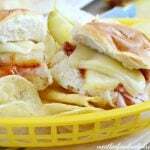 I have picky eaters, so I know that if they like something, it’s definitely worth sharing! 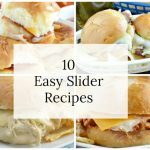 Everyone loves sliders, so that part was easy. 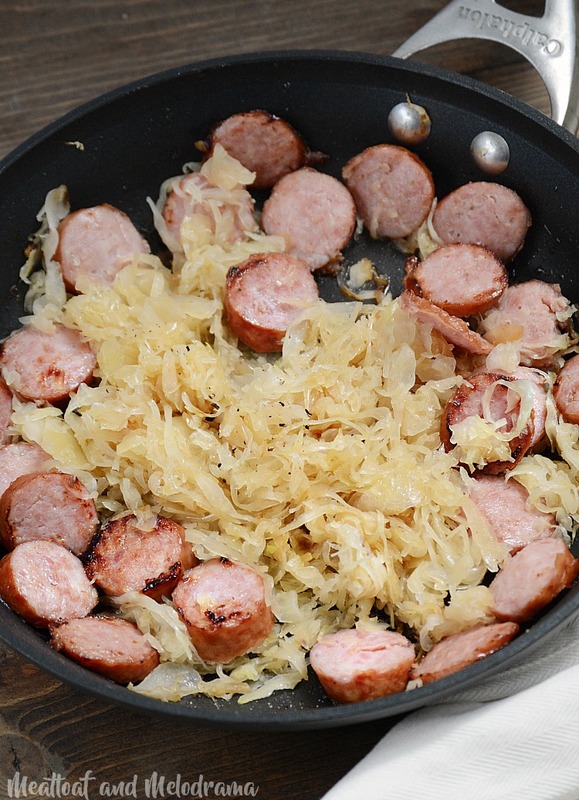 I just cut up the sausage, fried it for a little bit, and then I added the sauerkraut. I’m a big fan of using spices, but I kept the seasoning simple this time. I just added some salt, pepper and a little bit of brown sugar to the sauerkraut. I’ve made them both ways, and the only difference is that baking the sliders makes them a little bit crispier and prevents them from getting soggy. So, if you like soft buns, don’t bake them. It’s up to you! 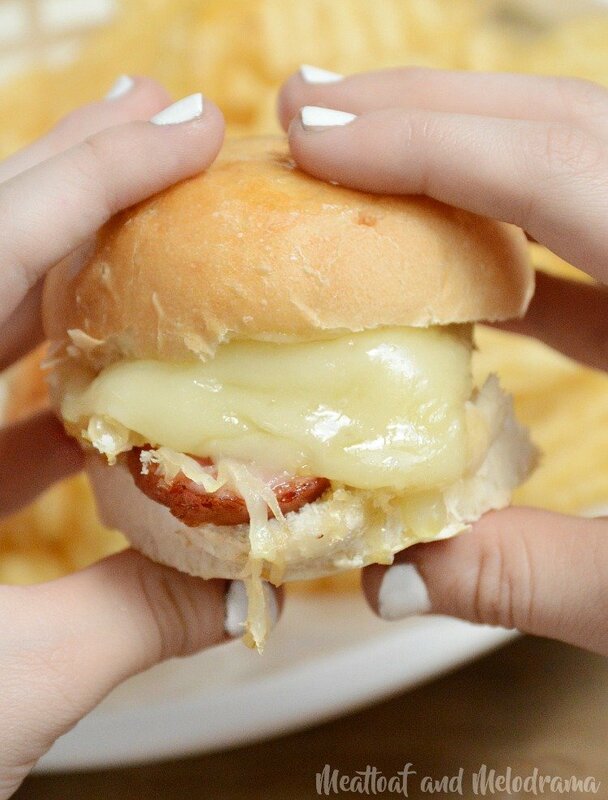 Kielbasa Sauerkraut Sliders are made with fried smoked Polish sausage slices, seasoned sauerkraut and lots of melted provolone cheese. Perfect for an easy dinner or game day appetizer! 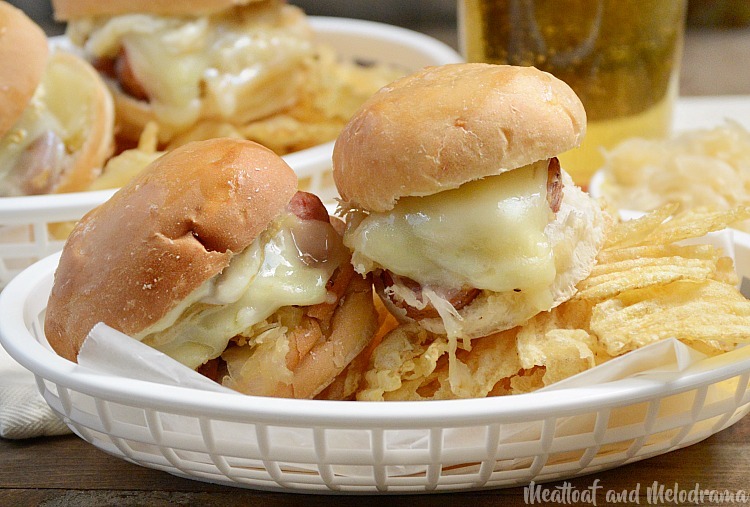 I hope you enjoy these easy kielbasa sauerkraut sliders as much as we do! I love sliders! They make a great meal or appetizer! This one is a new one for me that I need to try! I always grew up eating pork and sauerkraut and even make it for my boys. They love the flavors so I know they’re going to love these! That’s awesome! 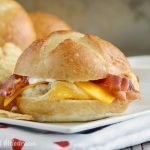 My kids don’t like the combo, but they like these – probably because of the cheese! I think this would be such a great football game watching food! 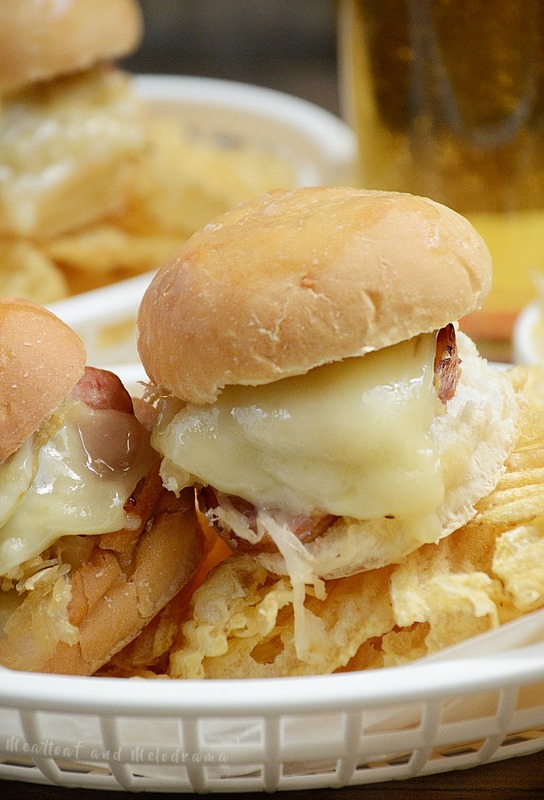 Sliders are always a hit in our family. These look delicious! These look so good, can’t wait to make these !! Looove the sound of these, YUM! These look delicious! 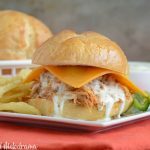 A great game day food! Wow! That is a great idea for a slider! I love all the ingredients! What a great idea for a slider, we will love this! Thanks so much for sharing with us at Full Plate Thursday,we are so happy to have you join us. Have a wonderful week and come back to see us real soon! Your post is featured on Full Plate Thursday this week.Thanks so much for sharing your post with us and it has been pinned to our Features Board. Have a good week and enjoy your new Red Plate!